The starglight glitter is an incredibly high sparkle cosmetic glitter. The particles are designed to reflect more light than the other standard glitter shakers. 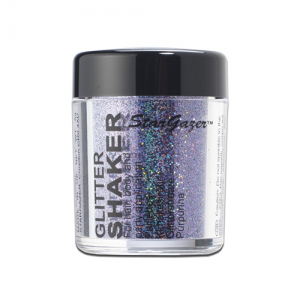 This glitter is good to use on the nails, hair and face or mix with other cosmetics for new looks.